Tickets for Revealed Projects' first ever Annual Fundraiser, are now on sale. It's set to be an amazing evening - three course dinner, live entertainment, auction, and raising money for a great cause. Why not book your tickets today? Click here to find out more info and book tickets. We're very excited to announce that Revealed Projects' first ever Annual Fundraiser, a charity a gala ball, will be held at The Winter Gardens Ballroom in Weston on Friday 28th June at 7:30pm, with a three-course dinner, auction, balloon tree, and live entertainment. Tickets go on sale from 9am on Monday 1st April (no this in not a joke!). our making a difference campaign is now live! In a culture where the number of young people with low self-esteem is on the increase, we want to see a change and you can help! For as little as £4 a month you can pay for a young person to benefit from a workshop on topics related to self-esteem and healthy relationships. To pledge your support today, click here and follow the link to enter the amount you’d like to give. Making a Difference Campaign - Launching Tomorrow! Unfortunately we were not successful in our bid for the Aviva Community Fund this year, but a huge thank you to everyone that voted for us and that continue to support the work that we do. We are excited to announce that this week we are launching our first workshop for parents, which will be looking at young people and social media. The workshop will explore all things social media – the good, the bad, and everything in between. The first workshop will be held this Friday (25th January) 7-8:30pm at Holy Trinity Church. The workshop is free of charge, but we will be taking donations towards the work of Revealed Projects. Revealed Projects are finalists in the Aviva Community Fund 2018. We are now in the process of submitting the next stage details to go before the judging panel. We will find out in the new year if we have been successful with this next stage. This year, the Aviva Community Fund have teamed up with Crowdfunder so that people can donate to the causes as well as vote. We have set an initial target of £2,500. If you’d like to help us reach the target, please click the link and follow the instructions to donate. This page will be live until 20th November. We are applying for funds from the Aviva Community Fund again this year to help us continue to grow and develop the project further. Voting opens today at noon. Please would you consider supporting us, by clicking here and registering to vote. Every vote counts. You can share this with friends and family to also ask them to vote. Great news! We have now launched our brand new fundraising pack for people that would like to fund raise on behalf of Revealed Projects. Fancy having your friends around for a cake and cuppa whilst raising money for a good cause? What about having a clear out of your wardrobe and selling some items to raise money? How about a sponsored run, walk, or even silence? This packs includes everything you should need to help you run a great fundraising event, big or small. 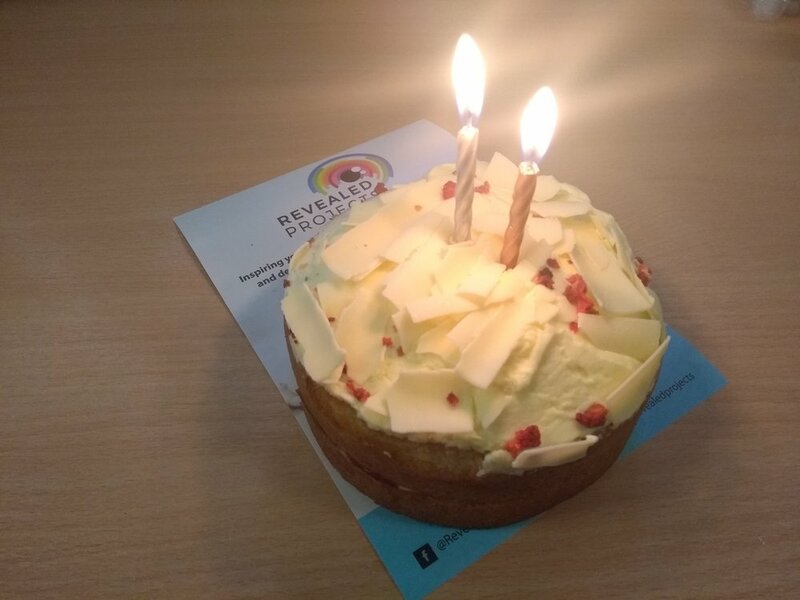 Today marks two years since Revealed Projects launched. We would like to say a huge thank you to everyone that supports the work that we do. We're excited for what this next year and beyond has in store. We are excited to announce that our new monthly blog post is now live. We will be posting new content the first Monday of every month written by the fabulous Megan Bidmead. We'd love to hear your thoughts on the topics you'd like us to cover. Today we are celebrating Safer Internet Day! To find out about booking our internet safety sessions please contact us. 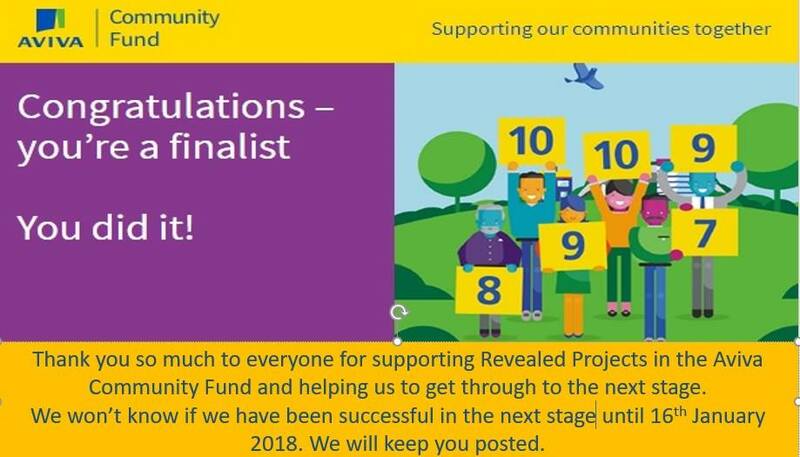 We are absolutely thrilled to announce that Revealed Projects was one of the winners of the Aviva Community Fund and has been awarded £10,000 to continue delivering the services of Revealed. A huge thank you to everyone that voted for us!! Thank you so much to everyone for supporting Revealed Projects in the Aviva Community Fund and helping us to get through to the next stage. We are one of the 15 finalists in our category and our project will now be assessed by the judges. 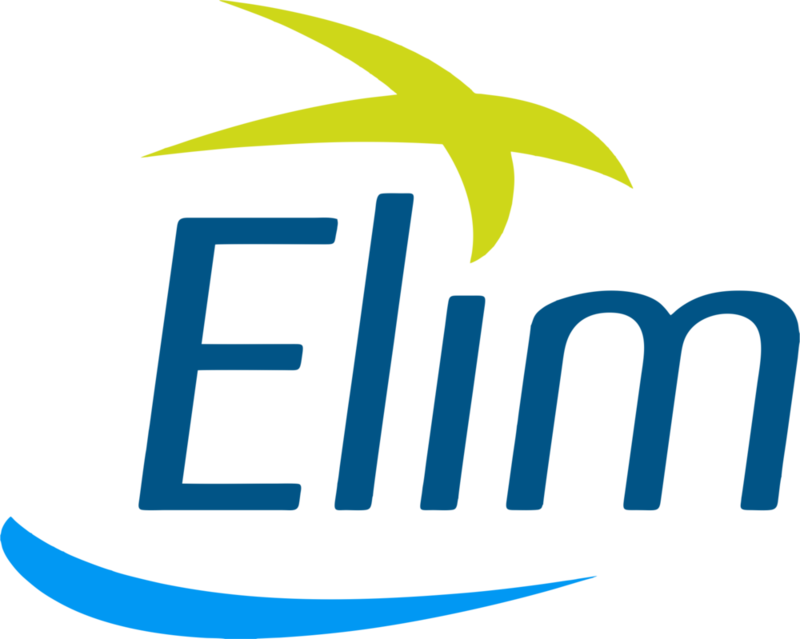 We won’t know if we have been successful in the next stage until 16th January 2018, but we will keep you posted as and when we do know anything.